Chandler Riggs, typically known for his performance as Carl Grimes in The Walking Dead, just announced a new step in his career as an artist. His musical alias, Eclipse, will be one rooted in electronic music. The first single from him, “Hold On,” is quite a heavenly number, to say the least. With some charming vocals from LA vocalist Lolaby and a slowed down, sensual articulation of future bass formula, the track is a welcome addition to your playlist. With tracks like these, we wouldn’t be surprised to see Riggs book a few festival stage slots. 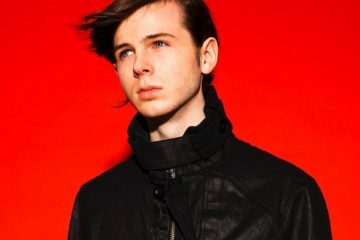 Stream Carl aka Chandler Riggs aka Eclipse’s new EDM single below.